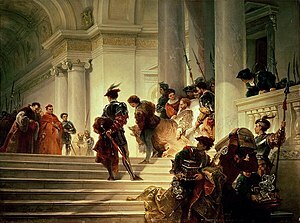 ^ "Death of Cesare Borgia | History Today". 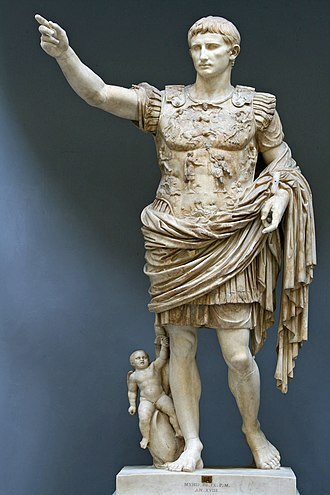 www.historytoday.com. Retrieved 2018-06-09. ^ "The Notorious Cesare Borgia Is Born | History Channel on Foxtel". History Channel. 2016-06-20. 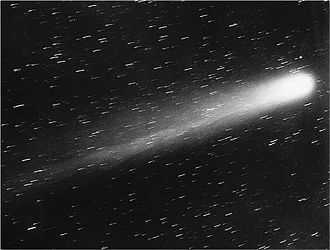 Retrieved 2018-06-09. ^ "BORGIA 3 -The Quest For Cesare's Tomb". Borgia Season 3: Behind the Scenes: Mark Ryder and Tom Fontana travel to Spain, to search for the real Cesare Borgia's tomb. 2014-07-09. Retrieved 2017-04-27. ^ "Leonardo da Vinci - Second Florentine period (1500–08)". Encyclopedia Britannica. Retrieved 2019-02-25. The Roman Catholic Diocese of Perpignan–Elne is a diocese of the Latin Rite of the Roman Catholic Church in France. The diocese comprises the Department of Pyrénées-Orientales and this see continues the old Diocese of Elne, which was renamed and had its see relocated at Perpignan, in 1601 after a papal bull of Pope Clement VIII. Its territory brought together the Diocese of Elne, part of the Spanish Diocese of Urgel known as French Cerdagne, the Diocese of Elne was a suffragan of the Diocese of Narbonne until 1511. In 1482, by virtue of a Decree of the Council of Trent, after 1678 it was again a suffragan of the Diocese of Narbonne. The department of Pyrénées-Orientales was united in 1802 to the Diocese of Carcassonne, the diocese was to be reestablished by the Concordat of 11 June 1817, but the French Parliament did not approve the treaty. 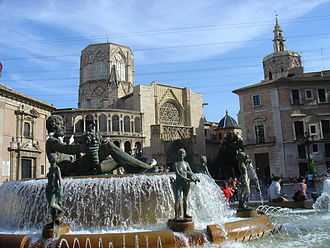 The Diocese of Perpignan was therefore re-established by papal bull in 1822 and its see is the Perpignan Cathedral. The Diocese of Elne is created in the 6th century, the first known Bishop of Elne is Dominus, mentioned in 571 in the Chronicle of John of Biclarum. Among others are Cardinal Ascanio Maria Sforza, Cardinal Caesar Borgia, Cardinal Francisco Lloris y de Borja, Cardinal Jacques de Serra, Cardinal Girolamo Doria, the Cathedral of Elne and the adjoining cloister are rich examples of elaborate medieval ornamentation. The diocese honours especially St. Vincent de Collioure, martyr, in memory of former ties with the metropolis of Tarragona, the Church of Perpignan honours several Spanish saints, St. Ildefonsus, Archbishop of Toledo. After becoming Bishop of Elne in 1495, Caesar Borgia decides to raise the taxes on the clergy and those same taxes are cut in two the following year, after the clergy complained to the king. The Benedictine Dom Briard, who continued the series of Historiens de France, numerous councils were held at Elne, in 1027,1058,1114,1335,1337,1338,1339,1340, and 1380. 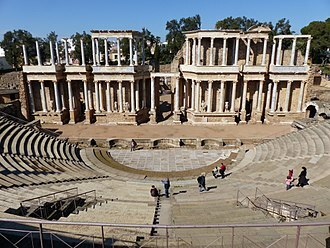 The author of lArt de verifier les Dates wrongly maintains that the Council of Elvira was held at Elne and Sennen at Arles on the Tech. Catholic Church in France Gams, Pius Bonifatius, series episcoporum Ecclesiae catholicae, quotquot innotuerunt a beato Petro apostolo. Gioffre Borgia, known as Goffredo, or Jofré Borja, was the youngest son of Pope Alexander VI and Vannozza dei Cattanei, and a member of the House of Borgia. He was the youngest brother of Cesare and Lucrezia Borgia and Sancha were 12 and 16, respectively, at the time of their marriage. 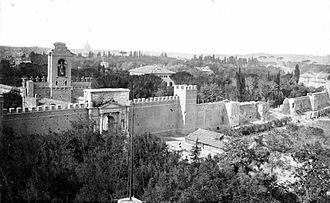 The marriage was a political one, alfonso married his daughter to Gioffre and gave the over-large dowry in return for Pope Alexanders recognition of Alfonsos claim to the throne of Naples. 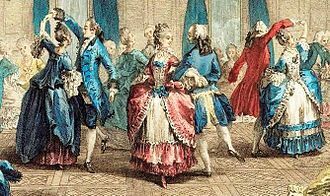 Almost as soon as the ceremony was over, the political situation changed with the invasion of Italy by King Charles VIII of France. Alfonso fled, leaving the throne to his son. 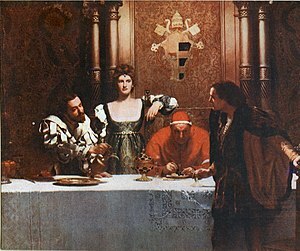 During this time the couple lived mostly at Rome, where Sancha reputedly had affairs with both of her husbands elder brothers and Cesare, among others. In the beginning of their marriage, Sancha was somewhat domineering over her husband, Gioffres relationship with his father was poor. Pope Alexander VI legitimized him, but privately expressed doubts that Gioffre was his son and he considered him a weakling because of his lack of interest in politics. In 1504 he sent the condottiero Fabrizio Colonna to stabilise his lands, with the rebellion crushed, Gioffre finally moved to his estates in Alvito and Squillace in 1504. Two years Sancha died childless, the Spanish King of Naples, Ferdinand II of Aragon, took possession of Gioffres estates in Alvito. 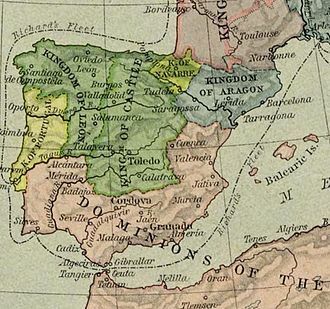 However, Gioffre was able to retain Squillace, on the Calabrian coast, Gioffres second marriage was to one of his cousins, Maria de Mila of Aragon. They had a son and three daughters, Lucrezia and Maria Borgia, Francesco inherited his fathers lands and the title of Prince of Squillace. Gioffres descendants ruled the city of Squillace until 1735. They generally ruled through governors, since they resided at either Naples or the Spanish court. Gioffre and Sancha are generally thought to have been the models for the boy and girl in the artist Pinturicchios Disputation of St Catherine, in the 1981 BBC mini-series, The Borgias, Jofré is played by British Actor Louis Selwyn. In the 2011 Showtime series The Borgias, Joffré is played by British actor Aidan Alexander, the role was a minor one, and he only appeared in the first season. 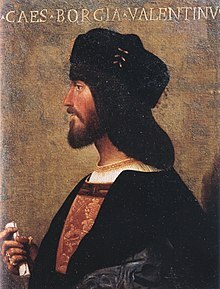 Condottieri were the leaders of the professional military free companies contracted by the Italian city-states and the Papacy from the late Middle Ages and throughout the Renaissance. 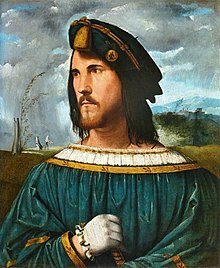 In Renaissance Italian, condottiero meant contractor, in contemporary Italian, condottiero acquired the broader meaning of military leader, not restricted to mercenaries. 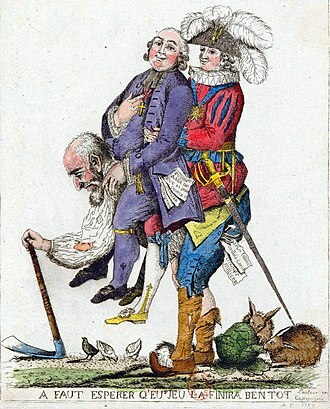 In Italian historiography, Renaissance mercenary captains are usually called capitani di ventura, the word Condottiere in the English language has come to denote, in the modern sense, any hired soldier. 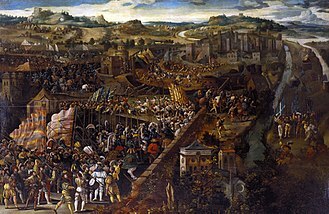 In the thirteenth and fourteenth centuries, the Italian city-states of Venice, Florence, in the event that foreign powers and envious neighbors attacked, the ruling nobles hired foreign mercenaries to fight for them. From the eleventh to the century, European soldiers led by professional officers fought against the Muslims in the Crusades. 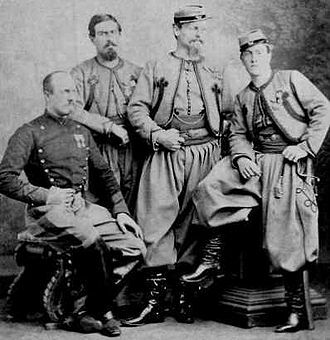 These crusading officers provided large-scale warfare combat experience in the Holy Land, on the Crusades’ conclusion, the first masnada appeared in Italy. 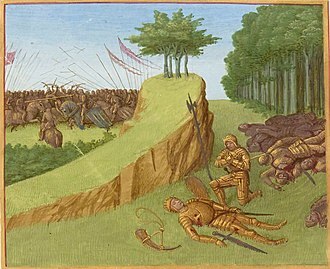 Given the profession, some masnade were less mercenaries than bandits and these masnada were not Italian, but German, from the Duchy of Brabant, and from Catalonia and Aragon. The latter were Spanish soldiers who had followed King Peter III of Aragon in the War of the Sicilian Vespers in Italy in October 1282, by 1333 other mercenaries had arrived in Italy to fight with John of Bohemia as the Compagnia della Colomba in Perugia’s war against Arezzo. 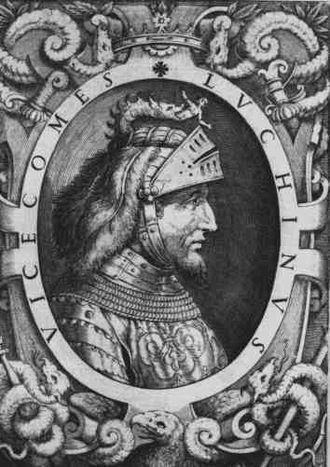 The first well organised mercenaries in Italy were the Ventura Companies of Duke Werner von Urslingen, werner’s company differed from other mercenary companies because its code of military justice imposed discipline and an equal division of the contract’s income. The Ventura Company increased in number until becoming the fearsome “Great Company” of some 3,000 barbute, the first mercenary company with an Italian condottiero as its chief was the Company of St. George formed in 1339 and led by Lodrisio Visconti. This company was defeated and destroyed by Luchino Visconti of Milan in April 1339, later, in 1377, a second Company of St.
Once aware of their military power monopoly in Italy, the bands became notorious for their capriciousness. 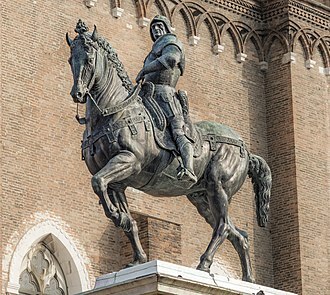 In turn, many condottieri, such as Braccio da Montone and Muzio Sforza, the condottieri fought by outmanoeuvring the opponent and fighting his ability to wage war, rather than risk uncertain fortune —defeat, death— in battlefield combat. 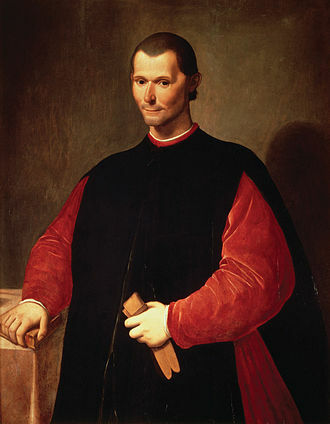 Niccolò Machiavelli even said that condottieri fought each other in grandiose, in 1347, Cola di Rienzo had Werner von Urslingen executed in Rome, and Konrad von Landau assumed command of the Great Company. Towards the end of the century the Italians began to organize armies of the same description and this ended the reign of the purely mercenary company, and began that of the semi-national mercenary army which endured in Europe till replaced by the national standing army system. In 1363, Count von Landau was betrayed by his Hungarian soldiers, the barbuta was replaced with the three-soldier, mounted lancia, five lance composed a posta, five poste composed a bandiera. The abbey of Saint-Michel-de-Cuxa is a Benedictine abbey located in the territory of the commune of Codalet, in the Pyrénées-Orientales département, in southwestern France. It was an important cultural centre in the regency of Abbot Oliba, parts of it now makes up the Cloisters museum in New York City. The origins of Cuixà abbey lie at Sant Andreu d’Eixalada, an abbey founded by the Benedictines in about 840, in the autumn of 878, the river broke its banks and destroying the monastery forcing the monks to seek refuge in the surrounding countryside. The community transferred to Cuixà, a minor cenobitic community dedicated to Saint Germanus, the abbey continued under the protection of the count of Cerdanya and Conflent. The territory came under the domain of the family of Wilfred I, in about 940, under the initiative of Sunifred II of Cerdanya, a new church dedicated to Saint Michael was built. In 956 the building was refurbished and made more sumptuous, the altar was consecrated on 30 September 974 by Garí. Arms of Pietro Barbo, Pope Paul II. The tower of Palazzo Venezia rises above the pines in Piazza Venezia, from the terrace on the Victor Emmanuel II Monument. The dome on the left corresponds to the neighboring Church of the Gesù. Possible portrait of Lucrezia as St. Catherine of Alexandria in a fresco by Pinturicchio, in the Sala dei Santi the Borgia apartments in the Vatican c. 1494. Tomb of Callixtus III and Alexander VI in Santa Maria in Monserrato degli Spagnoli.